We partner with audio visual specialists, so can provide advice on everything from professional video conferencing to digital signage. 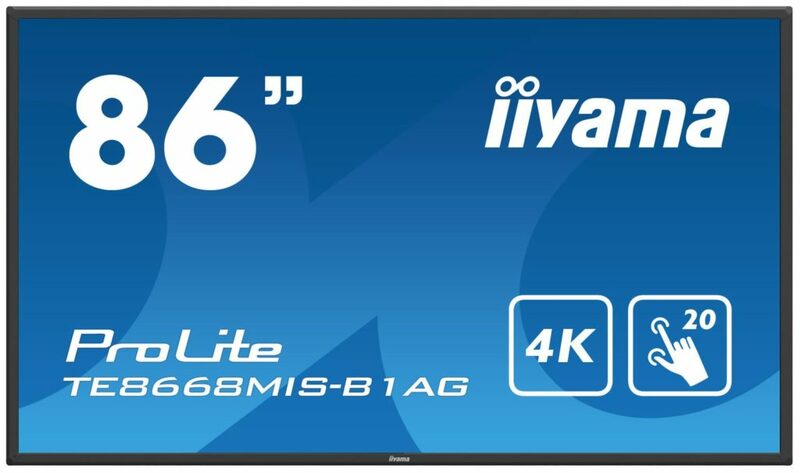 We have worked with a private education facility to install 86 inch iiyama ProLite TE8668MIS-B1AG interactive touchscreens, with integrated annotation software, in their classrooms to replace their traditional smart white boards. See the iiyama website for more information. We can also supply, install and support products from the following manufacturers; Plantronics, Polycom, ClearOne and Sennheiser (Team Connect Wireless) to provide a wired or wireless audio conferencing solution for your business.